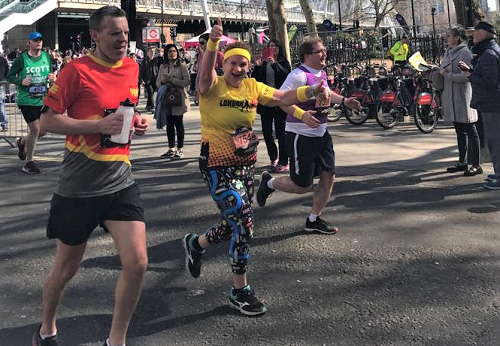 On Sunday 24th March, BES art teacher, Mrs Rhodes, completed the London Landmarks Half Marathon in 2 hours 12 minutes and 53 seconds. She decided to enter the event as part of her training programme for the London Marathon, which takes place at the end of April. Mrs Rhodes is running the marathon with a clear purpose in mind – to raise money for her poorly little nephew, William. William, who is almost two, has severe intractable epilepsy, for which the cause is yet unknown. Every day William suffers hundreds of seizures, even while he’s sleeping, which has markedly affected his development and means that his life is predicted to be limited. The aim is to raise £2000 to buy William an all-terrain specialist buggy for his family to be able to take him out and about. Mrs Rhodes is overwhelmed by the support as just over half of the target has already been reached.